Designing a patio seems like an easy task; at least it did for me the first time around. You just pick some patio furniture that looks nice and put it down on concrete in the backyard. I learned the hard way that there is so much more that goes into designing a livable patio. If I knew then what I know now my patio would look a lot different. If you are looking to replace an old patio set or planning your first, learn from my mistakes. I am terrible at eyeballing spaces, but it doesn’t stop me from doing it. When it comes to planning a patio, just eyeballing it is a terrible idea. You need to know the exact measurements of the furniture, but that is only one part of the equation. When you are planning the space, you should tape off or draw a chalk outline of each piece. If you are lucky, everything will work out perfectly, but if it doesn’t look the way you had in your head, it is a good thing. It is better than the chalk outline doesn’t work out than the actual furniture doesn’t work out. You can always go back to the drawing board and re-plan your layout or find furniture that better fits the plan you have in your head. Having a chalk layout also gives you an idea of how the patio will flow. It is important to put enough room between the furniture for people to move about freely without bumping into each other or furniture. Aside from the space and design of your patio, the most important part of planning for your patio is knowing the base material you want your patio furniture to be. Many factors determine what kind of material is best for you and it is important to know all of your options before buying. Plastic patio furniture has some benefits and is great for renters or people looking for a quick fix. These chairs are inexpensive and often run under $15 apiece. On the downside, they are flimsy and will break easily. Other disadvantages are that they don’t look particularly nice and they don’t stand up to the ravages of the elements very well. Even if you try to take care of them, a year in the sun and then colder temperatures will make the plastic brittle, and you will end up replacing them every year. Aluminum patio furniture is a step up from plastic because it is a much sturdier material. Though heavier metals like iron are not uncommon, a lot of patio tables will still use aluminum for their legs. This metal is light and still much cheaper than other options, but it is not infallible. Aluminum is known to corrode and will dent easily if met with enough force so your beautiful new patio set will start to look old and beat up before its time. Wicker is an interesting material because it is much better looking than plastic and aluminum, but is still reasonably priced. This material also stands up to all kinds of weather better than those other materials and is much easier to clean. The only downside to wicker furniture, other than being slightly more expensive, is that it does not hold as much weight as wood furniture which is important for families. 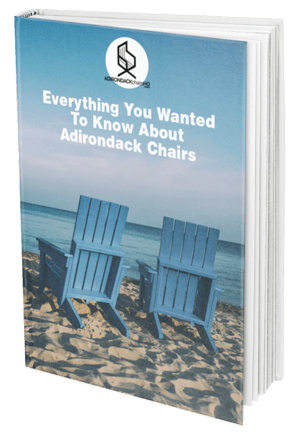 Whicker’s most important benefits are that it is used to make anything from single person chairs to large outdoor couches that the whole family can enjoy. If I could go back to the beginning, I would have put extra money down on wood furniture from the start. It is easily the most expensive option of any patio furniture, but it is an investment that can legitimately last a lifetime. Wood furniture is sturdy and can stand up to more punishment than other materials which is perfect for families. More importantly, wood furniture is not as susceptible to the elements, especially the hardwood varieties. Wood furniture is beautiful and timeless, so you never have to worry about it going out of style which is just one more reason why it is the best option. An often-overlooked key to designing your patio is thinking ahead to cleaning, repair, and maintenance. This goes for both the furniture and the patio itself. When choosing which furniture material is right for you, make sure you take into account how much work it takes to maintain that furniture and if that fits into your budget of time and money. A lot can happen on a patio from spilled food, to rain damage, so who knows what your dog did, so it is important to plan for easy cleaning. A lot of patios consist of one or many concrete blocks which is the easiest material to clean. 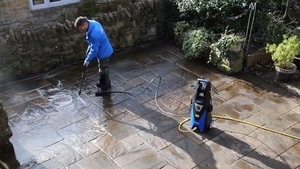 A well grouted concrete patio needs only a pressure washer or some soap and elbow grease to sparkle. Also, think about drainage away from your patio and where that water will end up. This is important for cleaning as well as managing your yard after heavy rains and melting snow. If you choose to cover your patio or use a different material for the floor itself, know how to clean it. There are some beautiful options out there for rubber patio floors, and they look fantastic, but with a lot of divots and grooves, they can be a pain to clean. These flooring options are not as long lasting as concrete either, so it is important to take into account the difficulty of replacing these flooring pieces when you are planning your patio. 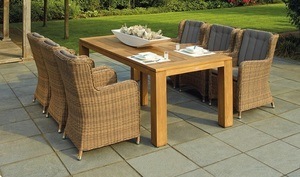 When planning your patio, you should also plan for storage of your furniture and cushions. If you don’t have the space for separate storage, you should at least invest in covers to protect from damage from the elements. 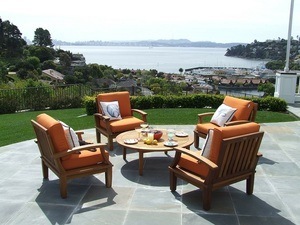 When designing your patio, it is smart to know when to buy your patio furniture to stretch your dollar. The more money you save on your patio furniture, the more you can spend on grills, flooring, and other accessories to enhance your outdoor experience. Spring is a hazardous time to buy because you can find a few deals, but they are few and far between and not nearly as good as you can find at other times of the year. One more problem that you can run into when buying in Spring is a lack of physical inventory which means you may be waiting into late Spring or early Summer before you even get your furniture. The benefits of shopping in early spring include not needing to store the furniture and being able to buy the latest models and technology. Fall is a great time to buy patio furniture because the patio season is over and stores are looking to move bulky, space-consuming furniture. Discounts will start in late August but will heat up after Labor Day. If there are still any sets around in October, they are sure to be a steal. Unfortunately, buying in fall has its drawbacks like a lack of variety and a need for immediate storage. 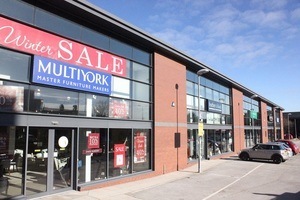 On the other hand, you get a great deal, and you know that the furniture is in stock that day. There is no better time to buy patio furniture than in Winter. The rise of online shopping has made it easier than ever to find deals online, but even online retailers need space to move inventory. In the middle of winter when it seems like they will never sell another patio chair again, these sites will deeply discount the furniture. When buying online always buy from a reputable seller and pay attention to shipping. This furniture is heavy and paying to ship it is going to erase any discount you get on the furniture. The only other downside to buying in Winter is having patio furniture delivered to your front door in the middle of winter and need to find a place to store it. When you are planning a patio, what happens around you is just as important as what is happening underneath you. 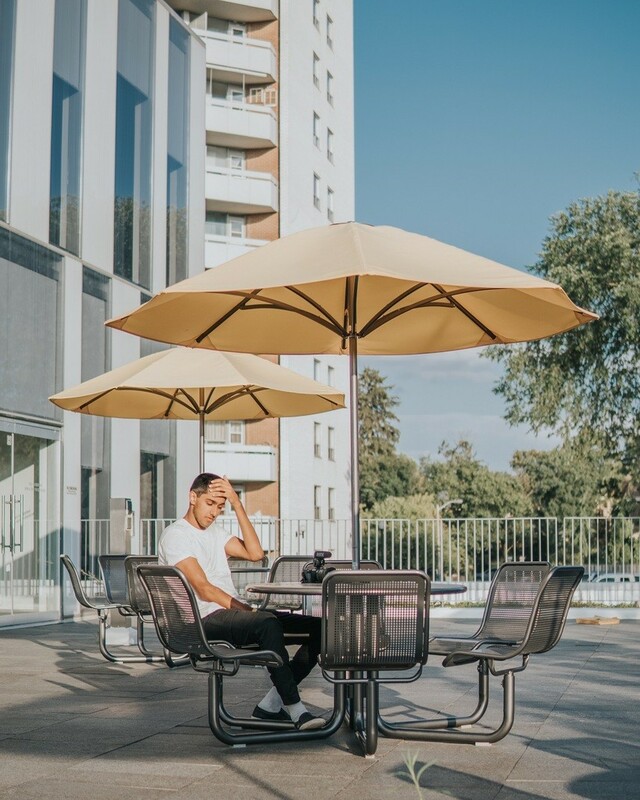 A nice patio set is a nice place to sit but if your surroundings don’t create an experience you aren’t going to be able to relax for hours on end. 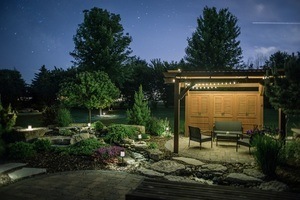 Lighting in and around your patio is an important and often overlooked factor in patio planning. Lunch on the patio is fine, but late nights on the patio around a campfire are unbeatable. Plan for lighting both around and above your patio and how you plan on running a power source to those lights. If you want to buck the idea of extra wires around a busy area look into solar options which are abundant and more reliable than they once were. A patio doesn’t feel like home until it has plenty of greenery around. Of course, there is going to be grass and trees in the back yard but having fun potted plants on the patio creates an ambiance. Plan for where potted plants will go on your patio along with the plants that you want and their care and maintenance. Some plants can be just as functional as they are beautiful, plants like catnip and mint naturally drive away pests which is always helpful in a family area that is filled with food. Most of us don’t have a lot of choices when it comes to the view from our patios. Unless you are pouring a brand-new patio somewhere in your back yard, the best you can do is plan your layout to get the best views possible. If there are no good views, or if they are blocked by a tall fence make your views with landscaping or paint a mural on your fence. 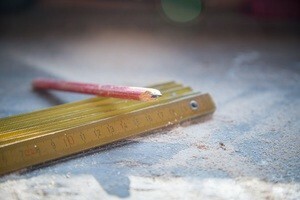 As the adage goes, measure twice and cut once. The most important part of planning your patio is to know exactly where everything will go and how people can flow through the area. Patio furniture is an investment that will be around for years to come, so it is important to get everything right the first time. With a little additional help from lighting and landscaping, you will find it hard ever to go back inside.